On April 13, 2019, the Monday Morning Singers premiers a powerful, new composition Agnus Dei, composed by Christos Hatzis. Jeff Reilly, bass clarinet, and the Uxbridge Chamber Choir join the Monday Morning Singers for this performance. Christos Hatzis is a Juno Award-winning Greek-Canadian composer. Many of his compositions are performed internationally, and he is a Professor of Composition at the University of Toronto. Christos’ compositions are eclectic, featuring jazz, classical, electronic and eastern elements. 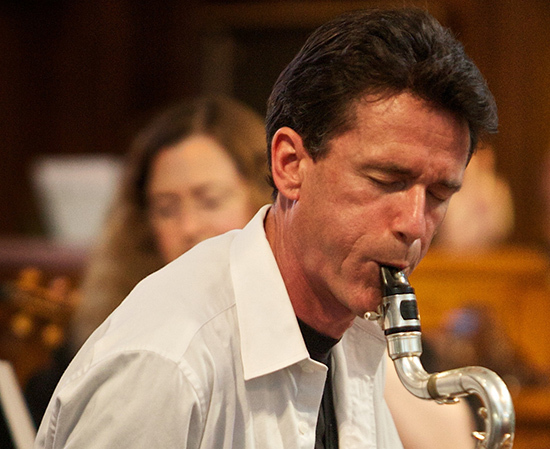 Jeff Reilly has an international reputation as an innovative master of the bass clarinet. He has performed with choirs, orchestras and chamber groups around the world. The composition Agnus Dei was written for choir and for Reilly as the bass clarinet soloist. Jeff Reilly is the senior CBC radio producer of music production for the Atlantic Region. On November 30, 2018, the Monday Morning Singers performs Magnificat, written by Norwegian composer Kim André Arnesen. Ian Sadler plays the organ and Grace Rogers is the guest soprano soloist. Ian Sadler is an award winning musician, educated in England, and living in Canada since 1980. He is a fellow of the Royal Canadian College of Organists, organist at St James Cathedral in Toronto, and performs widely as a concert organist, in Canada and abroad. Ian Sadler directs the Stratford Concert Choir and is founder and director of The Cathedral Singers of Ontario. Grace Rogers is the guest soprano soloist for Kim André Arnesen’s Magnificat. Grace has performed with the Monday Morning Singers several times, as well as with other choirs. Grace Rogers studied at the University of Toronto and York University where she completed her BFA in Music and is currently completing a Masters degree in Music.